View More In Battery Accessories. Designed to take full advantage of Braille exclusive dual terminal design, this mount kit allows the battery to be mounted in any position. 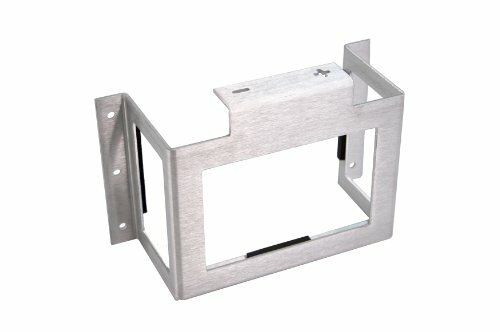 This mount is very popular for laying the battery flat in a stock location or mounting in a cubby or against the firewall. This lightweight design lowers the mount's weight and allows better visibility of the battery and its information on the labels. For carbon fiber batteries this is the perfect mount to show off the carbon and securely hold it in place. All forms of racing sanctioning bodies require secure mounting of the battery. This mount is designed to meet and exceed these requirements. If you have any questions about this product by Braille Battery, contact us by completing and submitting the form below. If you are looking for a specif part number, please include it with your message.